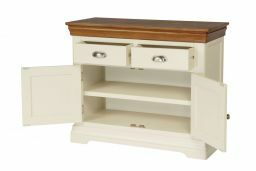 Farmhouse 100cm cream painted sideboard with a natural oak top. 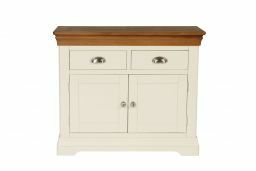 These new sideboards from the Country Oak range come finished in a cream coloured paint with a hard wearing oiled waxed oak top. 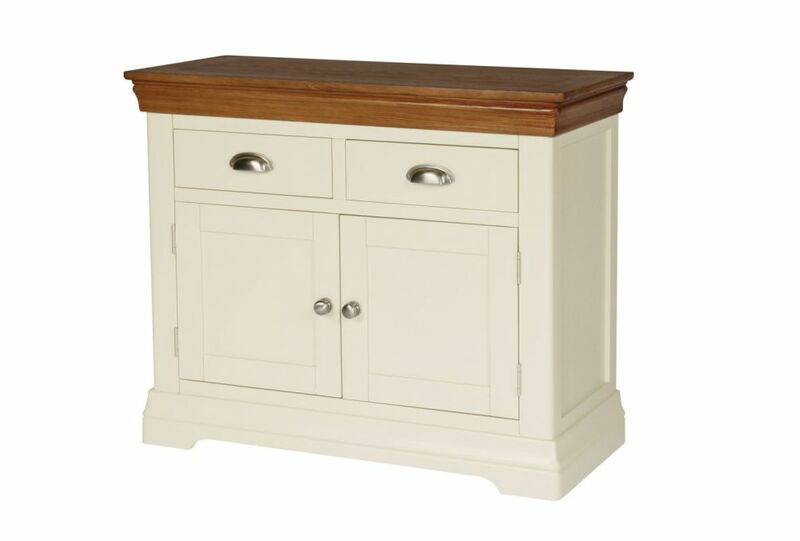 The oak top is manufactured using an American Oak which is sourced from sustainable forests. 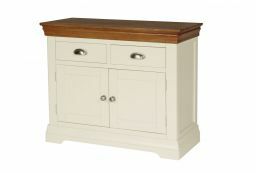 Very pleased with sideboard, good quality with a lovely finish. I would purchase more of this furniture. Sideboards arrived on the day and within the time quoted. Very well boxed and wrapped. Excellent quality I am delighted with the 2 sideboards. Am expecting delivery of 2 wardrobes early in April. Hope they are as well wrapped and the quality is as good as the sideboards. Very pleased with this purchase, it looks very good quality, would highly recommend buying this. Particuly liked how the item was packaged, everything was completed covered and even the handles had covers on them. I’m very very pleased with it. Shame there are no weekend deliveries, but luckily I live not too far from work. I received a call from the driver 1/2 hour before delivery and they were there on time and he had no issues with getting my unit up to the 2nd floor apartment. Cabinet looks great I'm very happy and excellent value for money. On time delivery, good quality, what's not to like? Very pleased with the oak sideboard. Great quality and love the colour and overall appearance. Fits perfectly into the space I had available in my kichen. I would definitely recommend this product to others. Fantastic quality products at a wonderful price. Would highly recommend both the product and the company. Excellent value for money; feels very solid and well built. The doors and drawers open and close really easily and also feel solid. Overall very pleased with the product and it feels like we've got a bargain for the price that we paid. Just been delivered & unpacked. This piece looks the part. Build quality great, looks great, feels expensive. The cupboard space is large and deep. Would definitely recommend. 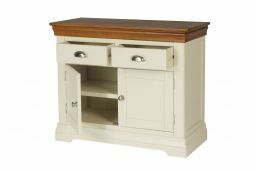 This sideboard is value for money compared to similar products. It is well built and exactly the product I was looking for. The only feature I would like to change is to have an adjustable internal shelf. This sideboard looks more expensive than it is. 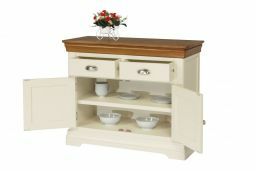 It has a beautiful oak top that sets the cream base off lovely. Just the right size to fit in an alcove in my kitchen. 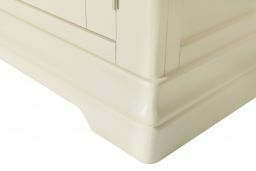 The drawers run smoothly and has plenty of space in the cupboards below. It is very sturdy and very well made. Would definitely recommend this piece of furniture.